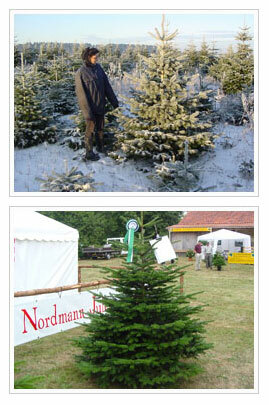 Forest Construction Jorgen Bang startet in 1978 and has specialized inproduction of the Nordmann fir. We emphasize in our plantations, to ensure the best conditions, so as to offer one of the best quality at reasonable prices. The company currently consists of 70 employees during thw harvest season and we produce about 150.000 Christmas trees a year on 450 hectares. We deliver all over Europe, but our main market is France.